How to Make Rs. 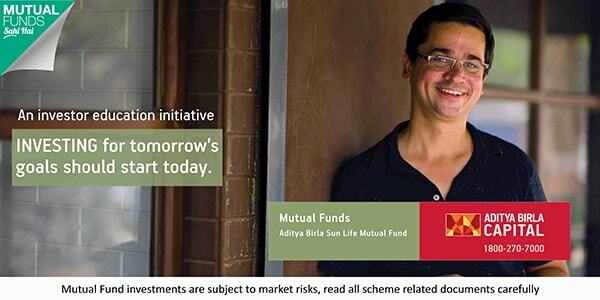 50 lakhs in 10 Years with Mutual Funds? Read the blog to know how to make Rs. 50 lakhs in 10 years through mutual funds. Mutual funds from the past 1 decade have gained huge popularity in India, and the reason behind that is the ease of investment and the high growth provided by these schemes. With each month passing by, new investors are joining the league, attracted by the disciplined investment approach and a large number of varieties that are available with this investment avenue. One common trend that is being followed by a lot of mutual fund investors is making goal-based investments. This not only allows them to follow a specific plan but also motivates them in sticking to their investments even in the tough times. Now, in the past few months, we have received a common query from a lot of our investors and followers which is “How to make Rs. 50 Lakhs in 10 years?.” So, today we will discuss 3 different approaches and mutual fund plans following which you can expect a corpus of Rs. 50 lakhs or more in the next 10 years. Now, the first and most disciplined approach you can follow to reach your goal of Rs. 50 lakhs is to start a SIP of Rs. 22,000 month. By following this plan, you can easily reach your target even with an average annual growth of just 12%. Here, you can see that the majority of the allocation has been given to the equity schemes, as in the long term not only do they provide a higher growth, but as the tenure passes, the risk associated with them also decreases. A considerable investment has also been put in an aggressive hybrid category scheme, so that stability can be provided to the portfolio through investment in debt instruments, along with the growth from opportunities of the equity market. Have a look at the past returns of the funds to get a better idea. As you can see that in the long term, each scheme has given an annual average return of more than 15%, and looking at the current aspects of these schemes, a similar performance can be expected in the future too. So, there is a huge possibility that after the specified tenure, you may end up with a much bigger corpus. The only thing to remember is that if you face any volatility in the short term, don’t panic but carry on with your investments for reaching your target on time. Now, the first approach needed a SIP of Rs. 22000 from the start, which is not convenient for every investor. So, if you don’t have that much investment at the current time, don’t worry as you can still reach your goal easily. For reaching the target of Rs. 50 lakhs in 10 years, you have to start a SIP of Rs. 15,000 and then you have to step up your investment amount with 12% each year. For e.g., in first year your monthly SIP amount is Rs. 15000, and you carry out a step up of 12% (Rs. 1800), then the new SIP amount will be Rs. 16,800. So, you have to repeat the same process every year, with every rise in income/salary you get. Here too, you can invest in the schemes that were stated above, and the allocation has been stated below. Now, one important thing to remember here is that when you step up your SIP amount, also remember to increase the investment in each scheme accordingly. Note: During your SIP tenure don’t make any emergency redemption as it will severely affect your goal and can increase the time needed to reach your goal. So, the above two plans were for the SIP mode of investment. This option is for the investors who don’t prefer SIP and are ready to put their investments in a single go, to reach their goal. The schemes mentioned below are different from the above schemes and are selected in such a way that a balanced portfolio can be created. This will allow you to enjoy a hassle-free growth, without facing many fluctuations in the returns. Here, you can see that the highest allocation has been given to the equity category schemes, but both the funds are the safest choice in the equity space. Around 20% allocation has been given to the debt: low duration fund, so that along with stability, liquidity can also be provided. And, at last, 20% has been given to aggressive hybrid fund, which will further add stability as well as growth to the portfolio. Below you can check the rolling returns of these schemes, to see how good this portfolio has performed in the past years. Hope now you can see what kind of growth this portfolio has provided and that by investing in these schemes, you can expect a growth even higher than Rs. 50 lakhs. Now, it depends on you which plan you want to choose to reach your goal. If you feel that you need some modification in the above portfolios, you can connect with the experts through the contact us section, and can convey your requirement for more specific portfolio construction. So, don’t waste any more time and start your investment journey today, to reach your goals.